“And the earth was filled with violence,” (Genesis 6:11). It’s 1,655 years after Eden, and life on earth has already gone to hell. The world of man is a place of wanton cruelty and wickedness. Prehistoric monsters and stone-age marauders roam the land. Murder and destruction are the rule of the day. This is life before the Flood—the story of man on the verge of his first apocalypse. 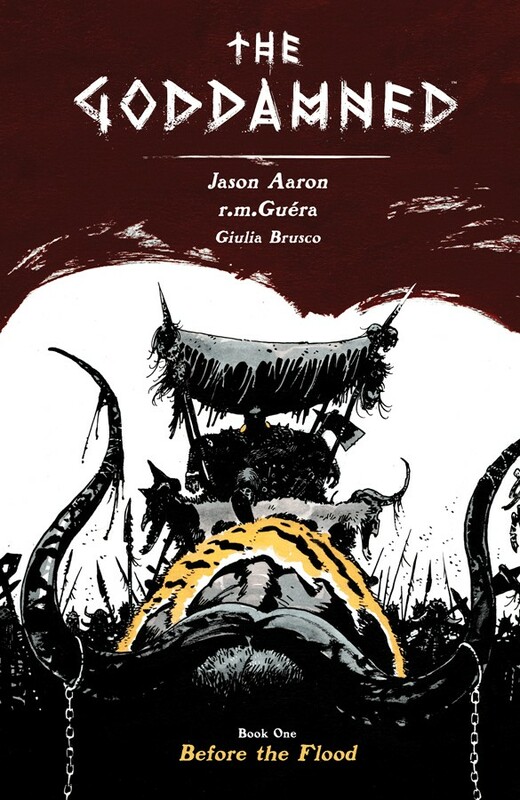 Presenting the first arc of JASON AARON and R.M. GUÉRA’s brutal biblical epic in one oversized hardcover.